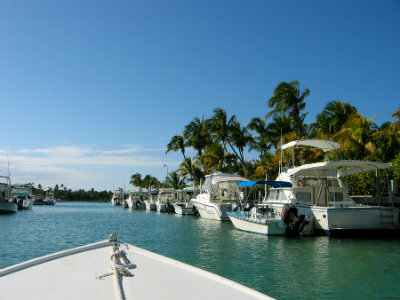 Search all Old Fort Bay Real Estate Listings in the Bahamas below! Old Fort Bay real estate is located in an exciting gated boating and beachfront enclave in the western end of New Providence, about 10 miles from downtown Nassau. This development features one of the finest beaches on New Providence and is particularly appealing to boaters, as most properties feature canal frontage. Natural flora and fauna have been preserved to combine an eco-friendly environment and the opulence and richness of this beautiful neighborhood. Venetian Villas, Bahamian Colonial estates and palatial beachfront homes share this wonderfully secluded and secure community. Browse all Old Fort Bay real estate listings below, or keep reading about this exclusive boating community. Old Fort Bay, Bahamas real estate is the epitome of luxury. 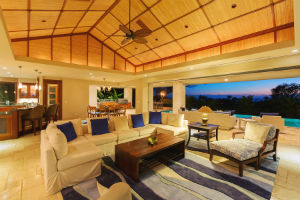 Situated adjacent to Lyford Cay, real estate in the community typically starts at the $1 million mark and moves upward from there for expansive, elegant estates. Canal front properties and residences with beach access offer a true Bahamian experience, and homes are surrounded by lush, tropical landscaping. Beautiful estates can be found with a private boat dock, guest cottage, and private pool. For buyers looking to build their dream home, there are several vacant lots available for purchase. If you are looking for a home in a private, old world style club community, then you are looking for Old Fort bay. Homes for sale here enjoy access to the original Old Fort, which is now a community clubhouse with and exclusive restaurant and spa, nestled under an ancient Silk Cotton tree overlooking one of the most spectacular stretches of beachfront in the Bahamas. If you were to buy one of the Old Fort Bay villas, you would certainly enjoy using the amenities offered amongst the hand painted tiles recovered and restored from the original fort and the Spanish "azulejos" that adorn the walls of this historic building. Dinner on the veranda overlooking Old Fort Bay is posh and elegant, to say the least. Interested in viewing Old Fort Bay homes for sale? Our agents are experts on The Bahamas real estate market and will be happy to answer your questions. Contact Dupuch Real Estate online or call 242-393-1811 today!